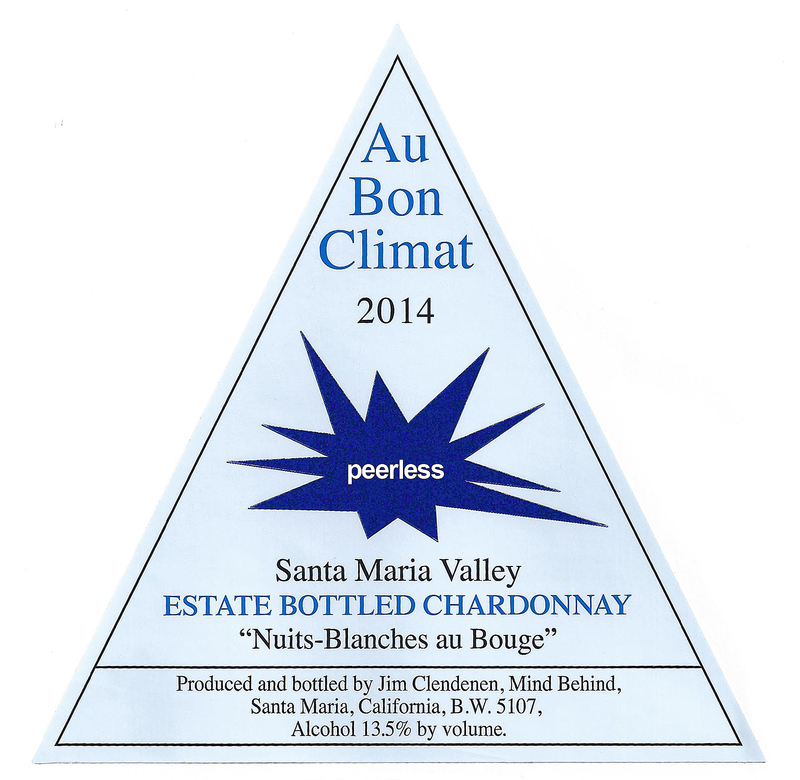 *The word “peerless” on the label changes each vintage, but is always the first impression that Jim gets when he tastes the new vintage of “Nuits Blanches” Chardonnay. This wine is 100% Chardonnay sourced from the two estate vineyards – 90% from Bien Nacido Vineyard “K Block” and 10% from Jim’s own Le Bon Climat Vineyard. Both vineyards are locted in the Santa Maria Valley at an elevation of about 500 feet. The “K Block” at Bien Nacido is one of the original blocks planted in the early 1970s to UC Davis 4. The newer plantings at Le Bon Climat feature Dijon 76 and 96. The fruit hand picked and carefully sorted in the vineyard, then 100% whole-cluster pressed, chilled and settled overnight. The juice is barrel fermented in 100% new Francois Freres French oak barrels. The wine undergoes complete malolactic fermentation. The wine is aged surlies for 18 months and then is bottled unfiltered.